Imperial Dreams by Tim Gallagher is a natural history of the world’s most spectacular woodpecker and a mystery: a forensic inquiry into what, despite the narrator’s hopes, looks like the death of a species. It starts as a lighthearted adventure and becomes a tragedy and a tale of terror. It may be Gallagher’s best book yet, one to excite adventure travelers who might never pick up a “bird book,” while telling an unforgettable tale of loss. Several years ago, Gallagher was one of the rediscoverers of the Ivory-billed Woodpecker. His success led him to think about its relative, the legendary Imperial Woodpecker (or Pitoreal ) of Mexico. I do not use “legendary” lightly; although the ivory-bill was the largest woodpecker in the United States, the imperial was the largest that ever lived. The raven-sized male, with its red Woody Woodpecker crest, looked like a huge exaggeration of the ivory-bill. But the female had a unique forward-curving black curl recognizable even in pre-Columbian petroglyphs. They knocked such large chunks of bark off dying trees that their sign was unmistakable. Their home was the cold montane pine forests of the Sierra Madre, with grizzly bear, wolf, jaguar, trout, and Thick-billed Parrot, all vanished or vanishing. Though they had been seen on occasion into the 1970s, there were few credible recent reports. Their forests had been cut over by loggers, and were now the virtual property of drug traffickers— thenarcotraficantes—whose reign of terror discouraged all outsiders. Tim Gallagher was born in England, raised in southern California, and is a longtime resident of Ithaca, New York. He is tall, thin, and gray-haired. For such a person to wander the Sierra Madre with pictures of woodpeckers, asking nervous peasants about them, takes either extreme courage or foolhardiness. But that’s just what he did. The final of his five expeditions started optimistically in Durango, but before they left for the mountains they were “befriended” by an obvious drug dealer, and abandoned by one of the ornithologists who had agreed to accompany them. Despite such omens, they continued. Tim often digresses in the book to explore the not-too-distant past of the Sierra Madre, telling stories of pioneer anthropologist Carl Lumholtz, and of famed ecologist and essayist Aldo Leopold, who wanted to establish the largest park in Mexico there. He reminds us that the Apaches held out in the Sierra, with bounties on their scalps, until the 1930s. They meet many decent people, though most are wary of these strange outsiders. They see opium poppies, and are warned off more than one trail. The country has been logged, and the forest is second or third growth, with ground plants eaten to stubble by goats and burros. They see one mesa across a chasm that looks like better habitat, but are warned that it belongs to the Zetas—a fearsome drug cartel made up of paramilitaries once part of the Mexican military—who will kill them if they enter. What they do not see is any sign of the woodpecker. They have a device that makes a double-knock sound that mimics the distinctive drumming of the pitoreal and most other woodpeckers in the Campephilus genus, but they never hear a response. Their drive out of the mountains is a nightmare. The relatively benign drug lord who promised to meet them and accompany them—and warned them not to leave without him—does not show. Without “Carlos” and his Uzi submachine gun, they must drive, unescorted, for a long day over hideous dirt roads, at no more than five miles per hour. They ask a local village elder if it is safe, and he tells them: “Along the road, everything is quiet—the only thing that happened is that a few houses were burned down”—this since they entered, a couple of weeks earlier. They stop for snacks, and the proprietor seems nervous; later they find that a villager had been kidnapped and held for ransom there the day before. Tim tries to be optimistic about the fate of the pitoreal, as he does about the ivory-bill. Although long-lived individuals may have survived into our time, do they have much future? 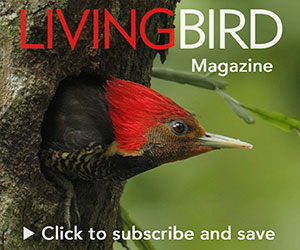 The Imperial Woodpecker’s fate might seem even grimmer than the ivory-bill’s; the researchers find evidence that loggers repeatedly encouraged shooting and poisoning the bird to ensure its demise. If true, it represents a case of successful, conscious biocide; worse, one done for imaginary reasons—the destruction of trees that were already infested with beetle grubs. Tim’s excellent adventure contains a dark warning for any species that is perceived as an economic threat.